Apple iPhone XS and iPhone XS Max smartphones went on sale few hours back in over several countries and territories globally. 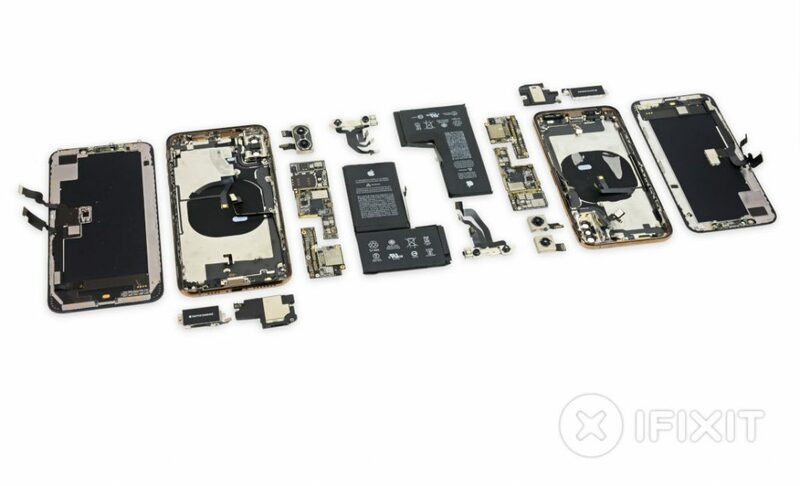 As usual, folks at iFixit have already managed to grab both the iPhones from Australia and have given at a teardown treatment as usual. TechInsights have also got hold of the phone. Teardown reveals new notched battery for the first time in an iPhone, Apple-designed power management IC for the iPhone XS Max. We already know that The iPhone XS and XS Max have 2658mAh and 3174mAh batteries, respectively. The teardown reveals 10.13 Wh battery (2,659 mAh at 3.81 V), weighing 39.5 grams and 12.08 Wh battery (3,179 mAh at 3.80 V), weighing 46.6 grams. 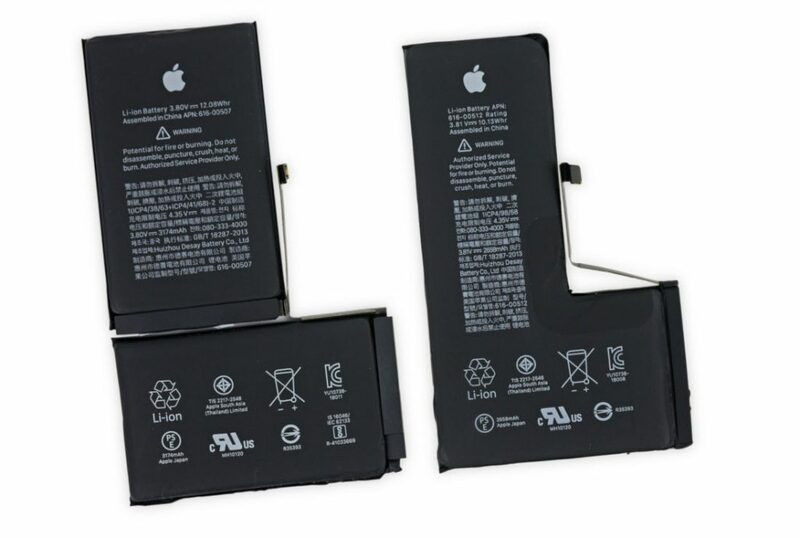 These have L-shaped batteries, similar to the iPhone X, but the iPhone XS battery has notched the internal corner, which is responsible for the decrease in capacity compared to the iPhone XS Max. Apple has used 64GB flash storage from Toshiba (TSB3243V85691CHNA1) and 4GB LPDDR4X RAM from Micron Technology (MT53D512M64D4SB-046). Another interesting thing is the Apple 338S00456 (APL1091) power management IC for the in iPhone XS Max, compared to PMICs from Dialog Systems in the Apple iPhone XS. This time Apple has gone solely with Intel’s LTE modem, as confirmed by Qualcomm earlier. All the models have PMB9955 Baseband Processor (Modem) and Intel PMIC (PMB6829). It is Intel’s XMM7560 modem, which is the company’s fifth-generation LTE modem designed via Intel’s 14nm manufacturing process. This offers download speed of up to 1 Gbps download (Cat 16) and 150 Mbps upload (Cat 13) speed. The use ST Microelectronics ST33G1M2 32 bit MCU embedded SIM (eSIM) with ARM SecurCore SC300, same as the one in the Apple Watch Series 3 and the Google Pixel 2 XL. iFixit has given the iPhone XS and XS Max a 6/10 rating, same as the iPhone X saying that the front and back glass is breakable and next to impossible to replace when cracked and waterproofing measures complicate some repairs.